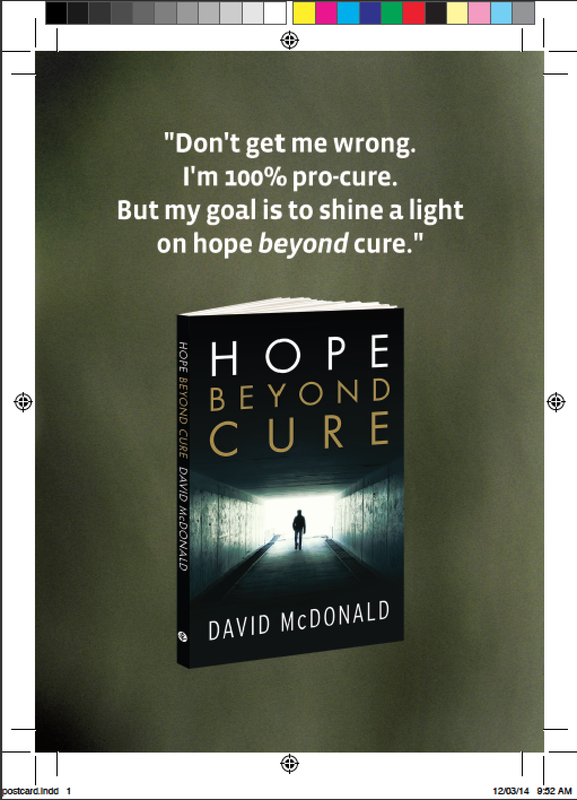 With the Relay for Life coming up this weekend we printed up 5000 glossy double-sided postcards to direct people towards the website hopebeyondcure.com where they can purchase the book and find a range of articles and resources on hope for those who are living with cancer. Thanks so much for your blog. I stumbled upon it when John Chapman died. 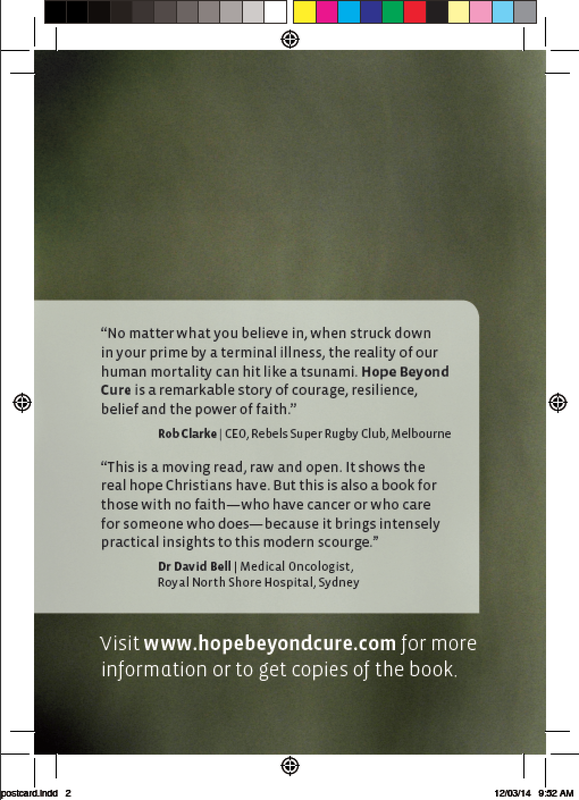 I am a cancer survivor myself (Bowl cancer 2006) but am interested to use your cards in pastoral care of those suffering. Could I have 100.